Get Excited About A Wrinkle in Time! The cover alone is likely to attract more readers than the old tattered version in my classroom library. 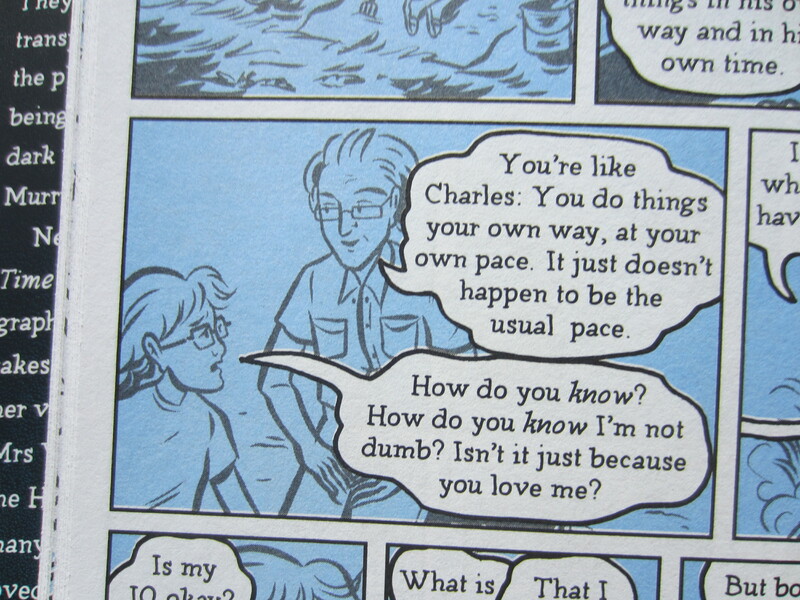 The book is full of so many little truths I never properly absorbed as a child. 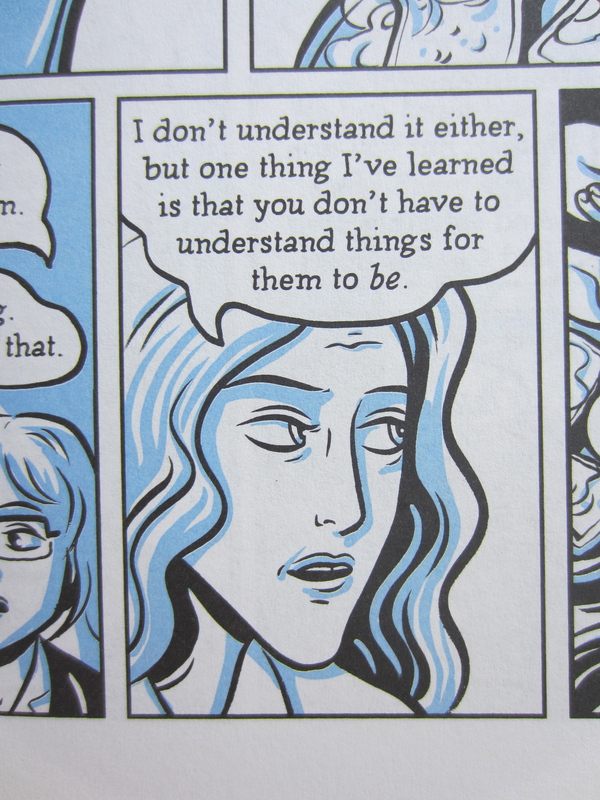 I also love that the book tells kids that different doesn’t mean dumb. And, most of all, I love that the book acknowledges the childhood desire to blend in as well as the journey toward self-acceptance. Not only did this lovely adaptation reconnect me with my inner nerdy little girl, but it also revealed an adult parable about the darkness in our world and the importance of love. 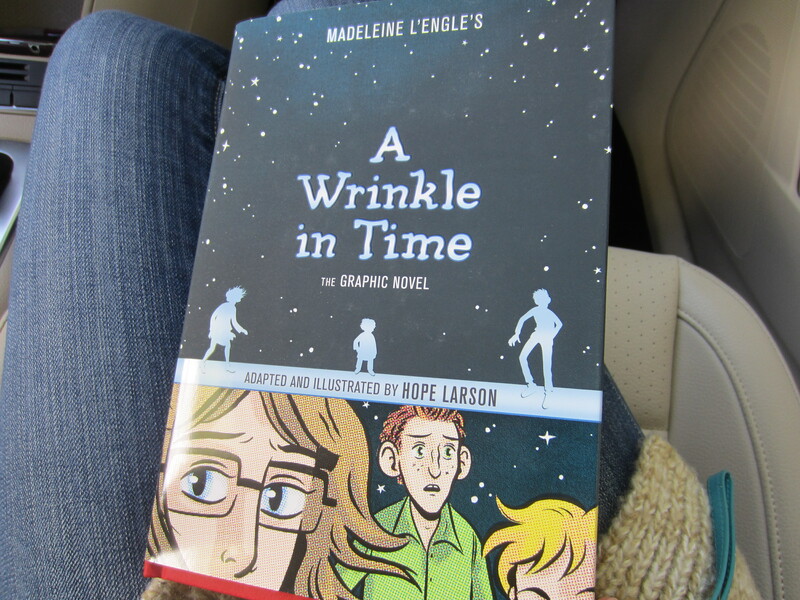 I am excited to add this book to my classroom library, certain my students will also enjoy the illustrations, the allusions to the very math they’re learning, (converting fractions to decimals…), and the rare instance of a math genius girl as the hero who saves herself, her family, the world. While it took me a bit to adjust to reading a graphic novel, (I didn’t realize how different parts of your brain are required to balance picture and word information simultaneously), I really loved rediscovering this classic story with an adult perspective. If you have a young person in your life who would appreciate a story about being both different and wonderful, I highly recommend ordering this book, (and allowing your grown-up self to enjoy it first!). Yes, was one of my favorites too! Pretty cool how a book can reconnect you with your childhood! Very cool! That was one of my favorite books as a kid. I’ve been reading Gaiman’s Sandman graphic series and enjoying it. They style had to grow on me, though. Isn’t that funny? 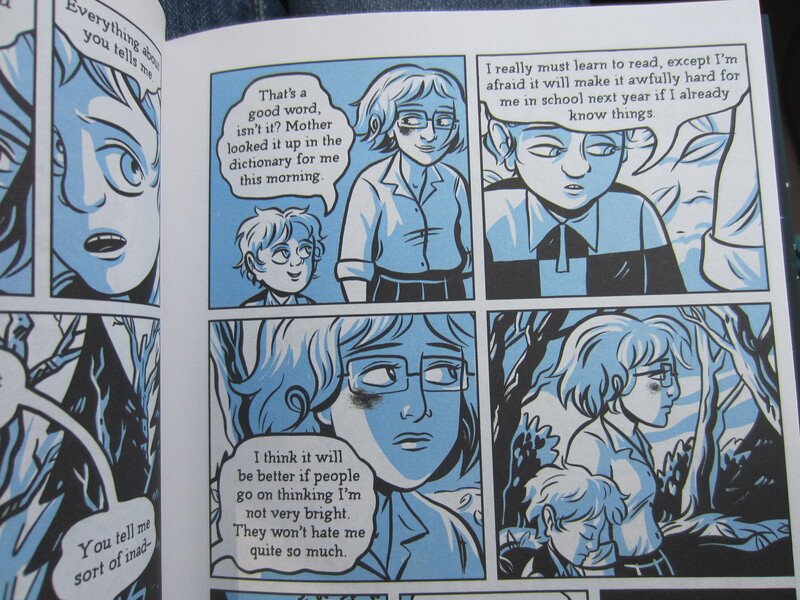 I didn’t realize that reading graphic novels required an adjustment, but they’re pretty cool. Will have to keep an eye out for the Sandman series! I had NO idea they were making this! I must get a copy! The creepiest thing was a few days before this post I had been thinking about this book and how I wanted to reread it because I don’t remember the details but I loved how it made me feel when I read it. Such a good find!